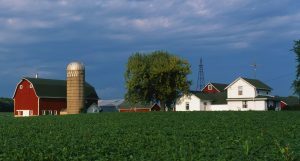 How Modern Farms Benefit from Heat Exchanger Technology | Noren Thermal, Inc.
Of the many different industries that have benefited from modern heat exchanger technology, agriculture and farming are among the most important. Not only do companies benefit, but also the consumers that rely on the industry for their dietary needs. Thanks to the innovative thermal management and eco-friendly processes made possible by heat exchangers, farms have become increasingly safer and more efficient in several different key areas. The most extensive benefits of heat exchanger technology stem from their ability to provide highly efficient electrical thermal management. As farms have sought to increase production and efficiency, these benefits have allowed them to utilize technological solutions (such as automated equipment) to streamline their operations without significant rises in overhead costs. For example, the ability to consistently cool equipment using natural, eco-friendly methods such as phase-change cooling gives heat exchangers the ability to operate consistently without needing high amounts of energy. Another significant advantage to using heat exchangers for electrical thermal management is that they offer farms the ability to provide higher levels of quality control at minimal costs. For instance, certain crops need to be stored at specific temperatures to remain fresh and viable for consumption. The equipment and machinery needed to harvest them relies on efficient electrical cooling to maintain operations, and using heat exchangers reduces the amount of energy used and the pollution generated when doing so. Because of their clean, natural heat transfer processes, heat exchangers provide an avenue for making overall operations greener and more environmentally friendly. Instead of relying on solutions like air conditioning technology, which can be a large factor in costs and environmental footprints, farms that implement heat exchanger technology can reduce or eliminate those factors. For more information about how modern farms benefit from heat exchanger technology, call Noren Thermal Solutions in Taylor, TX, at 866-936-6736.